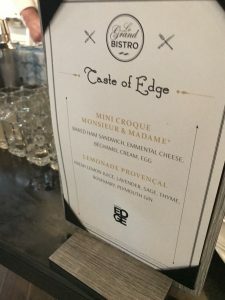 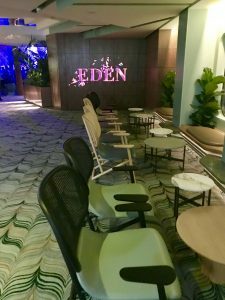 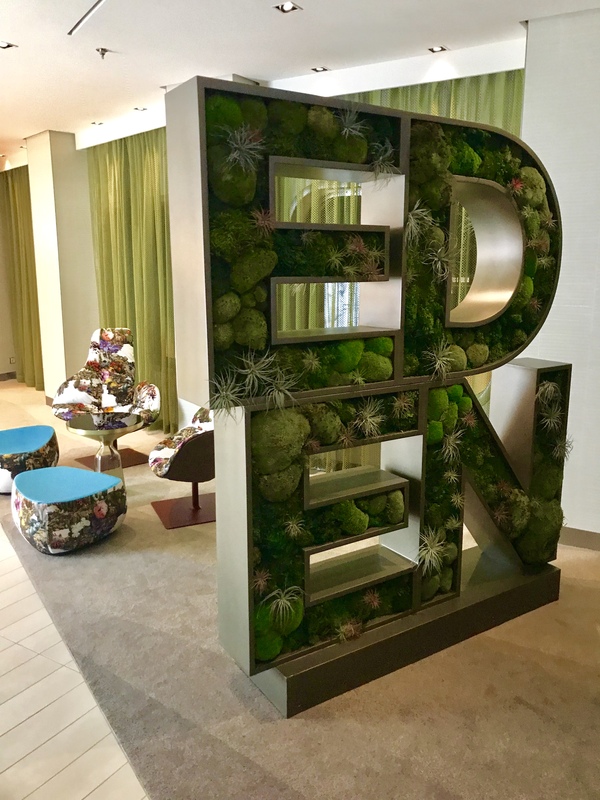 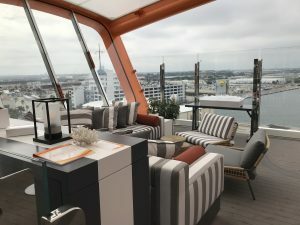 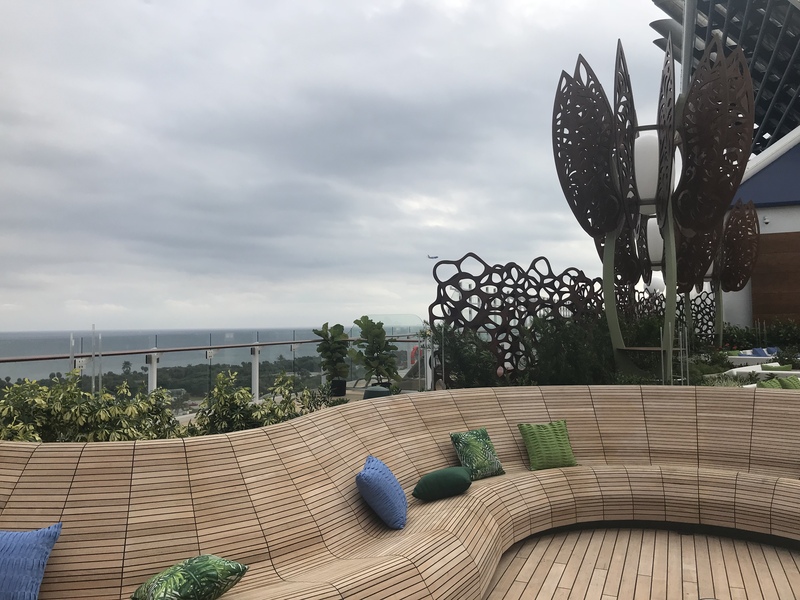 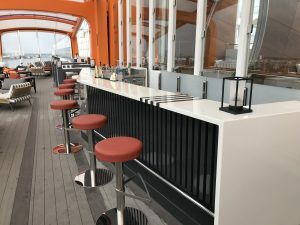 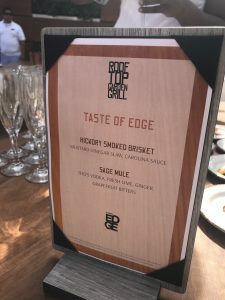 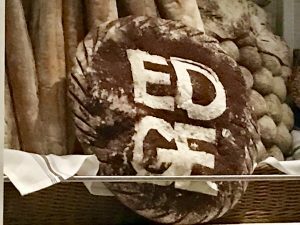 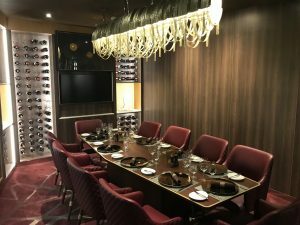 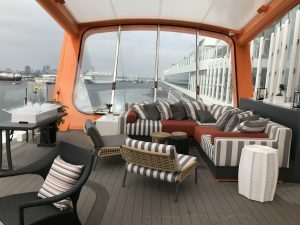 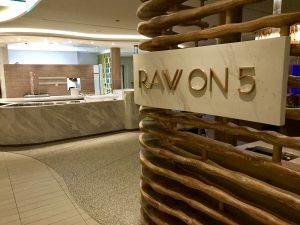 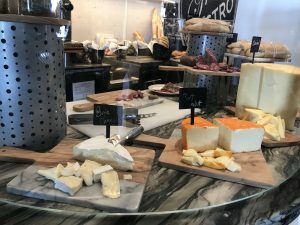 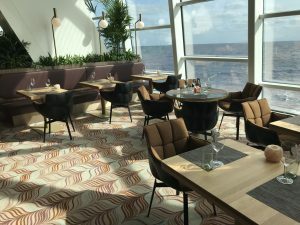 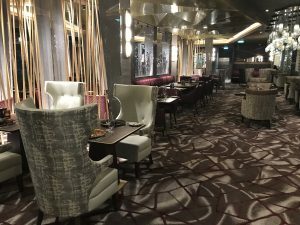 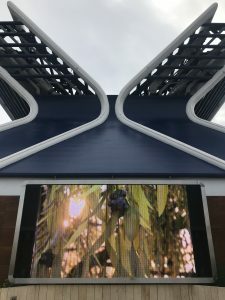 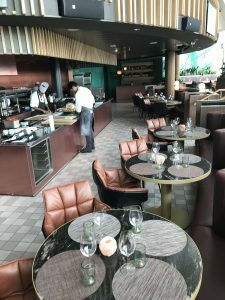 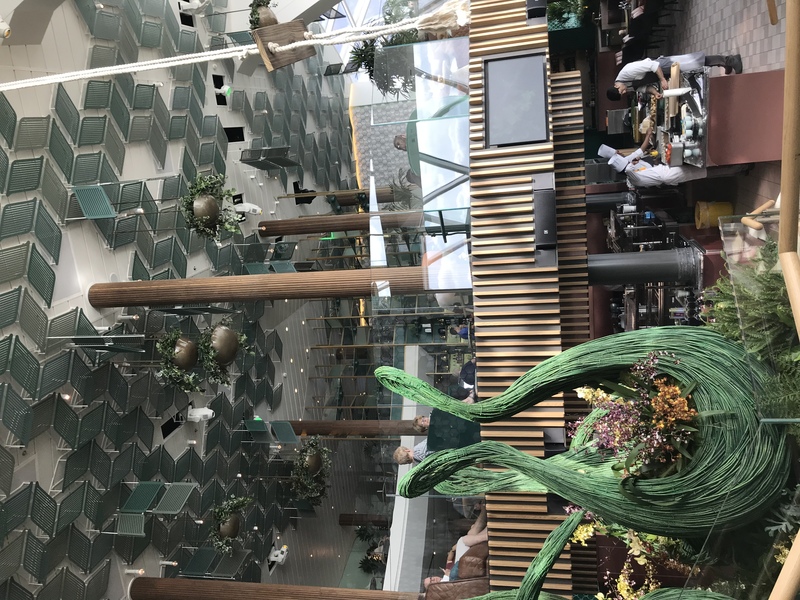 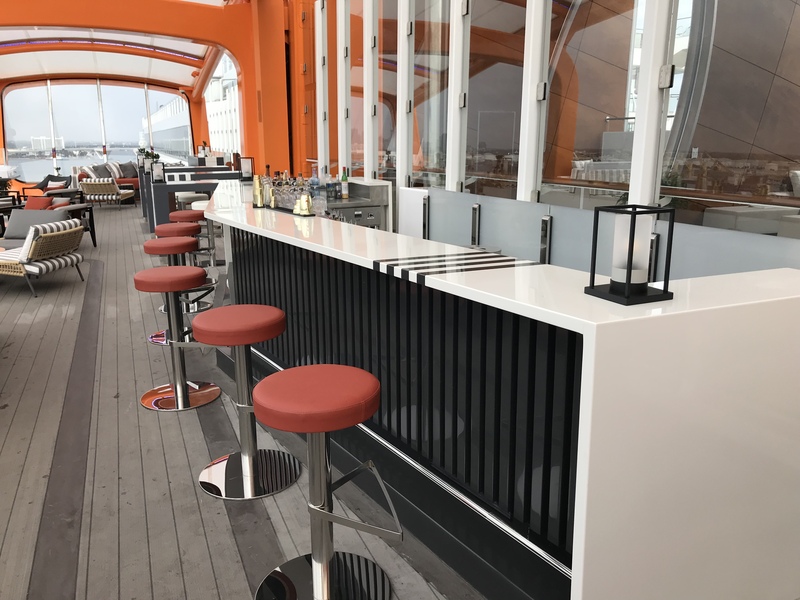 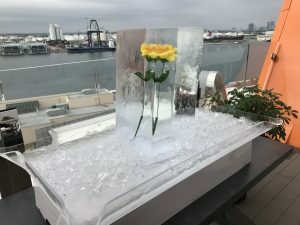 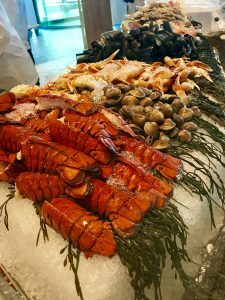 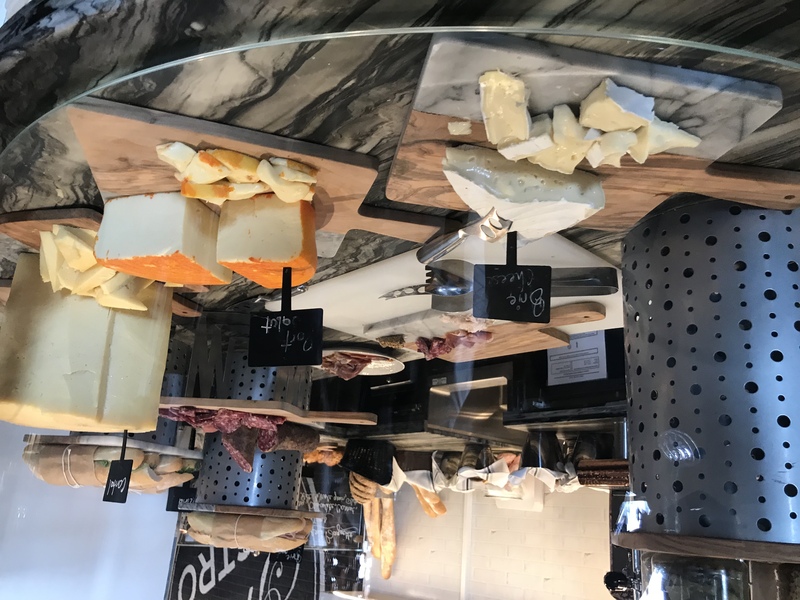 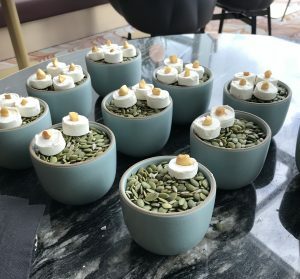 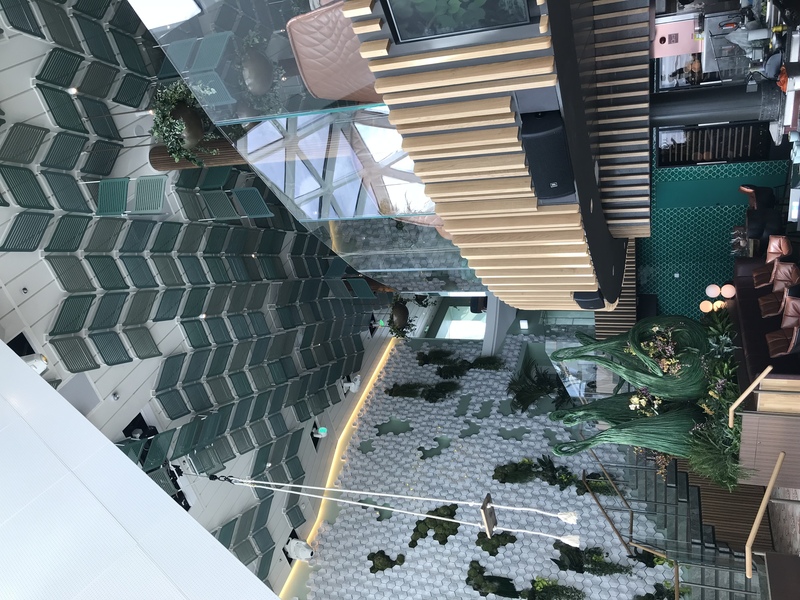 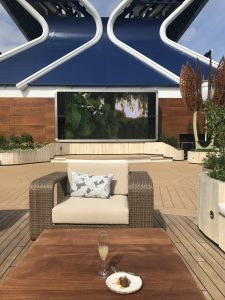 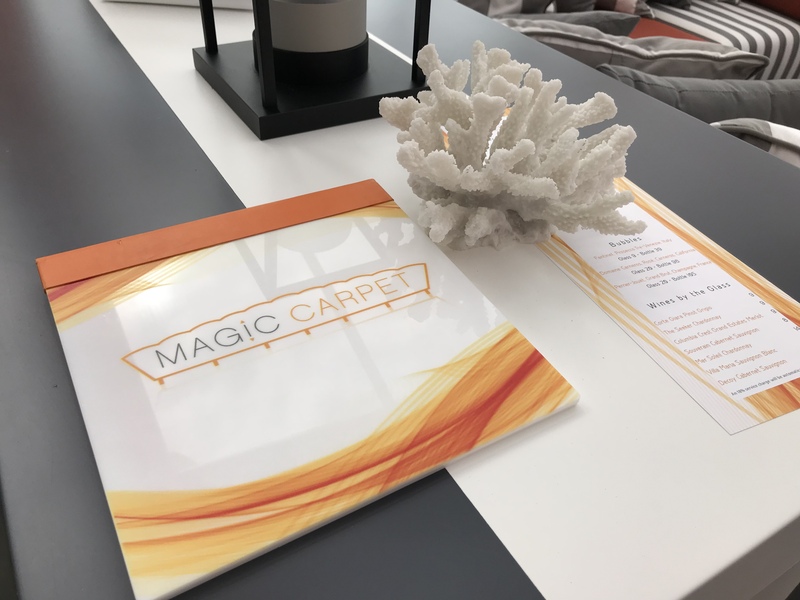 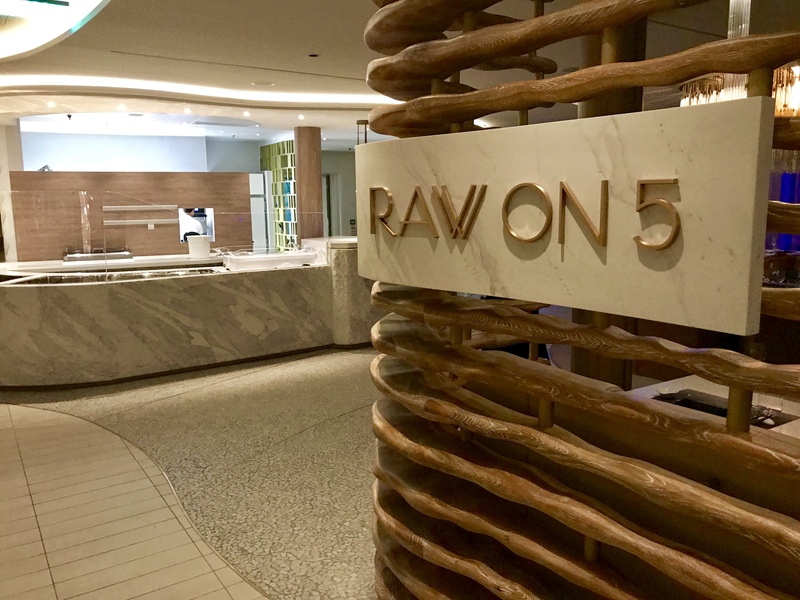 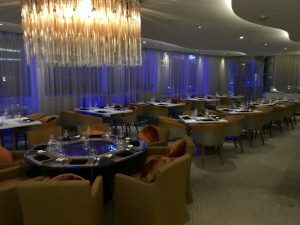 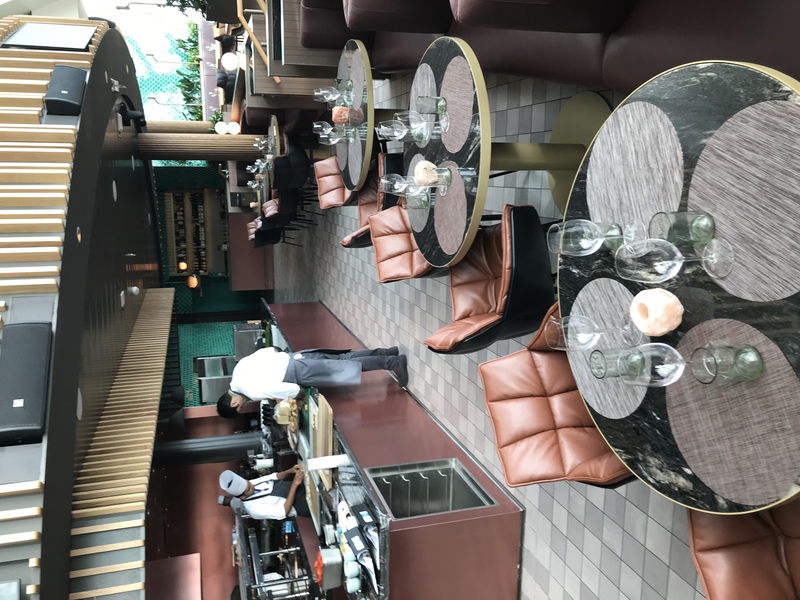 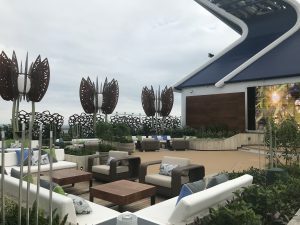 Celebrity Edge Preview Cruise, Upcharge Dining Areas | What's Up With The Mouse? 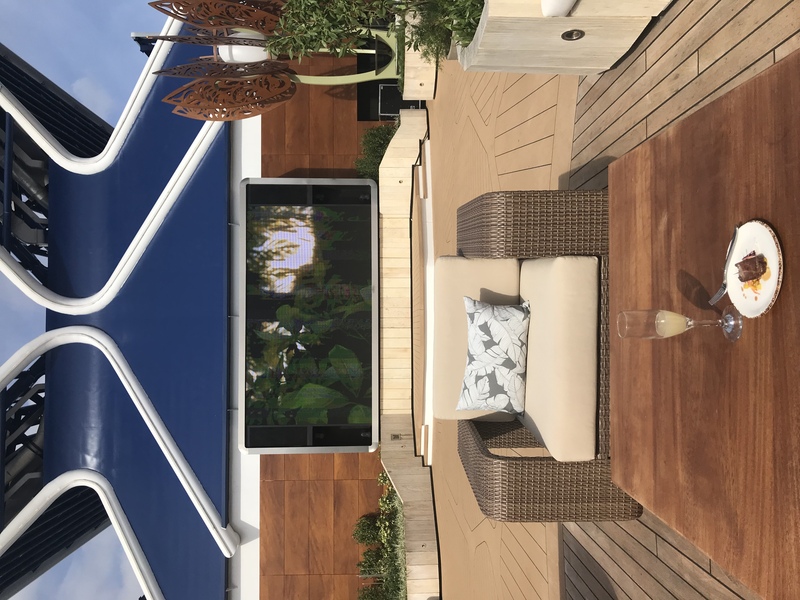 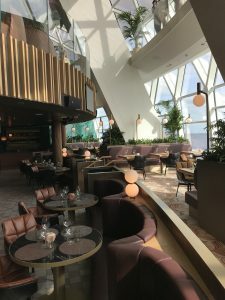 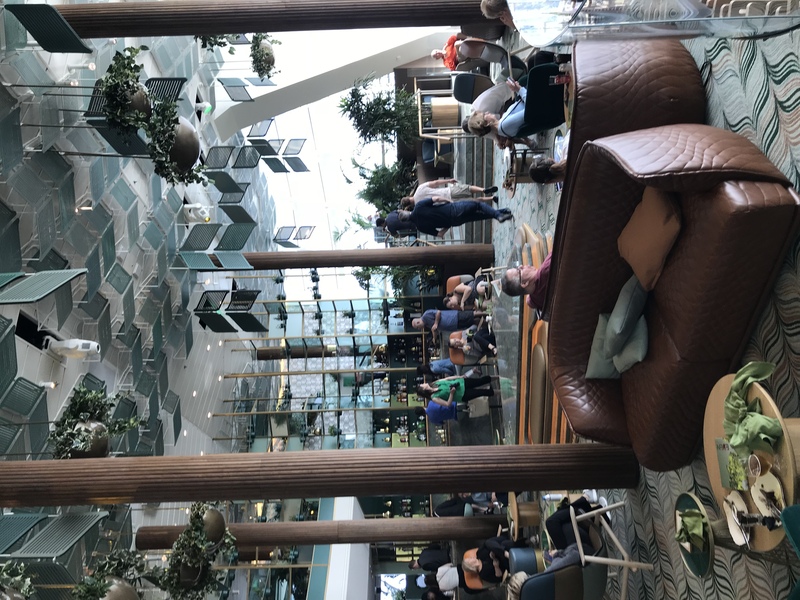 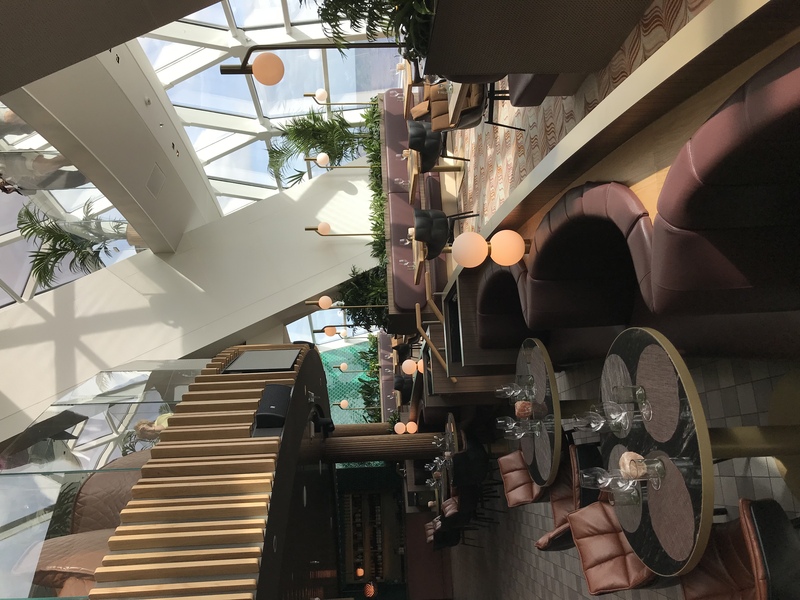 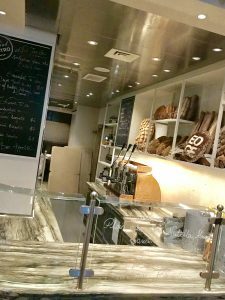 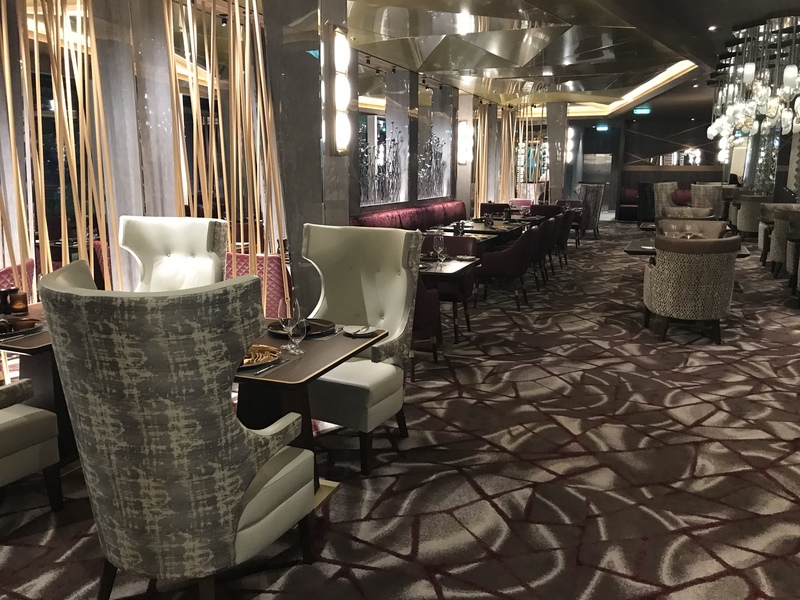 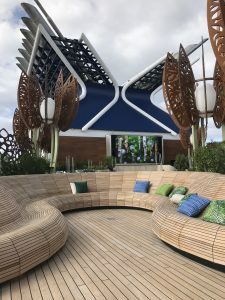 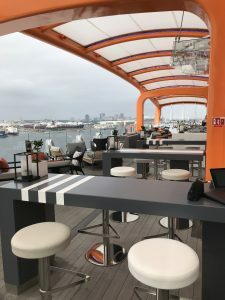 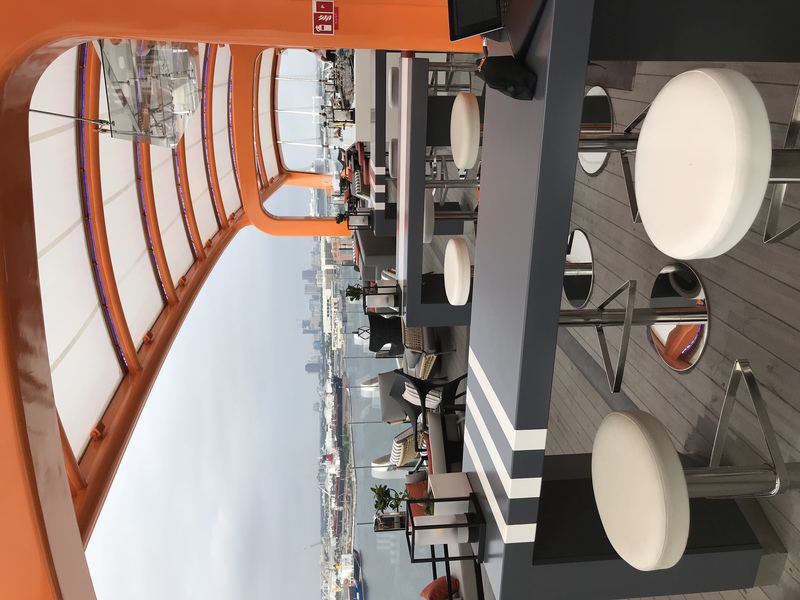 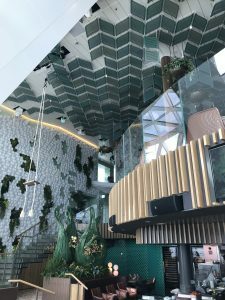 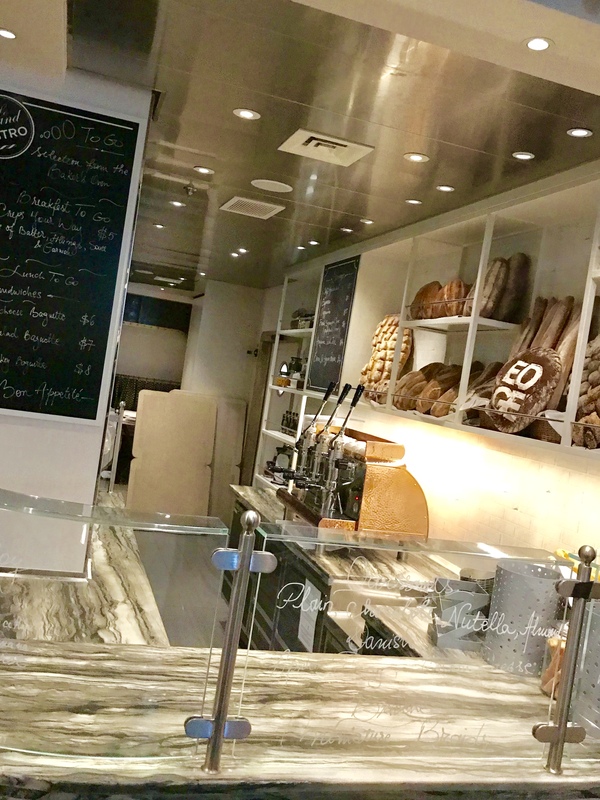 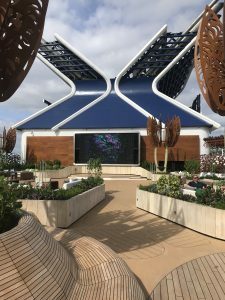 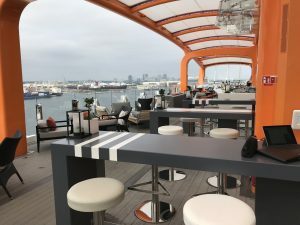 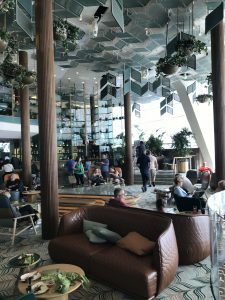 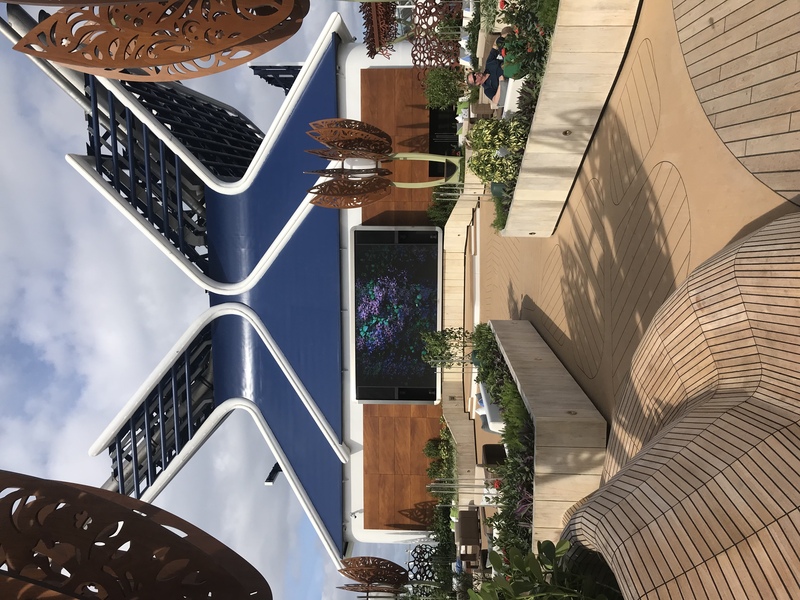 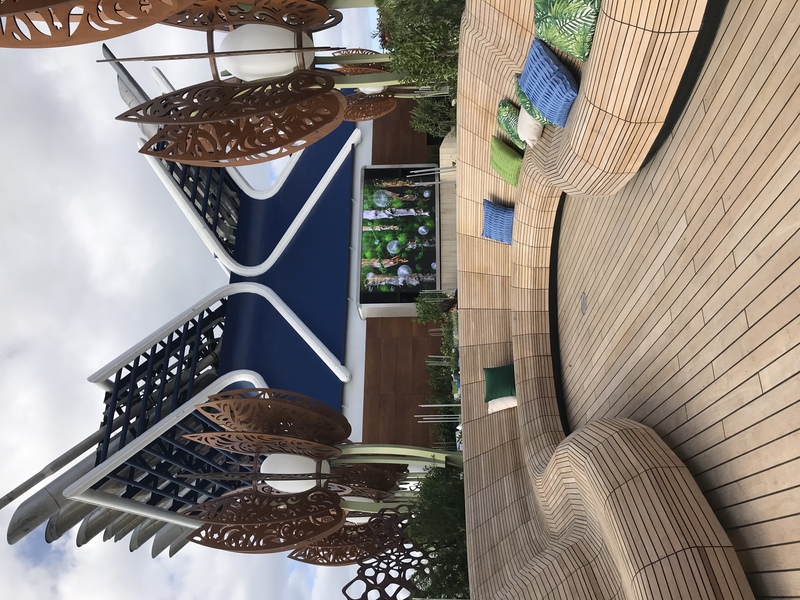 On board Celebrity Edge there are 29 total restaurants, cafes, bars, and lounges. Four of those are Main Dining rooms and 2 are AquaClass & Suite Class exclusives plus 5 that are included dining venues, which we have ready discussed. 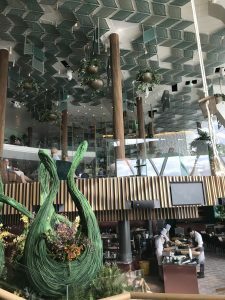 Now, I would like to focus on some of the specialty restaurants. 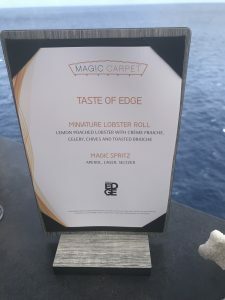 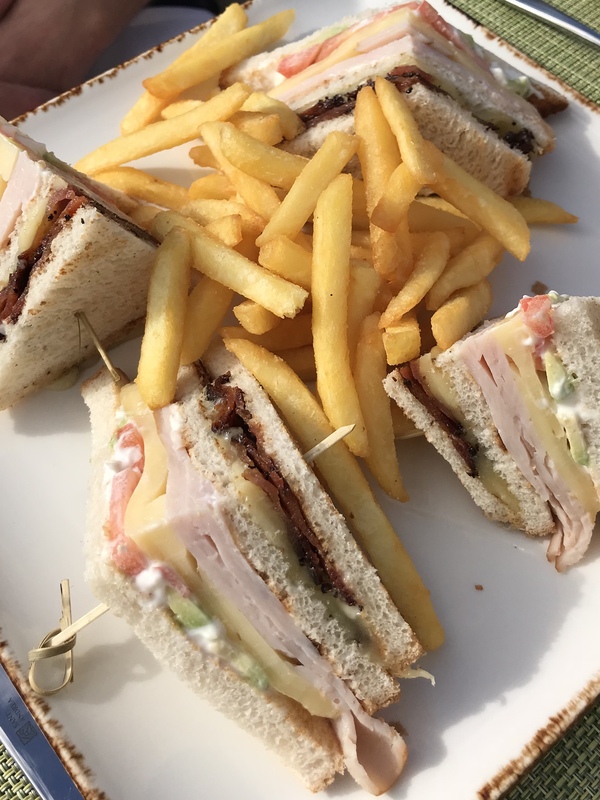 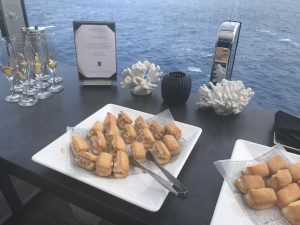 During our cruise, we were able to tour the restaurants on board and taste some of their offerings. 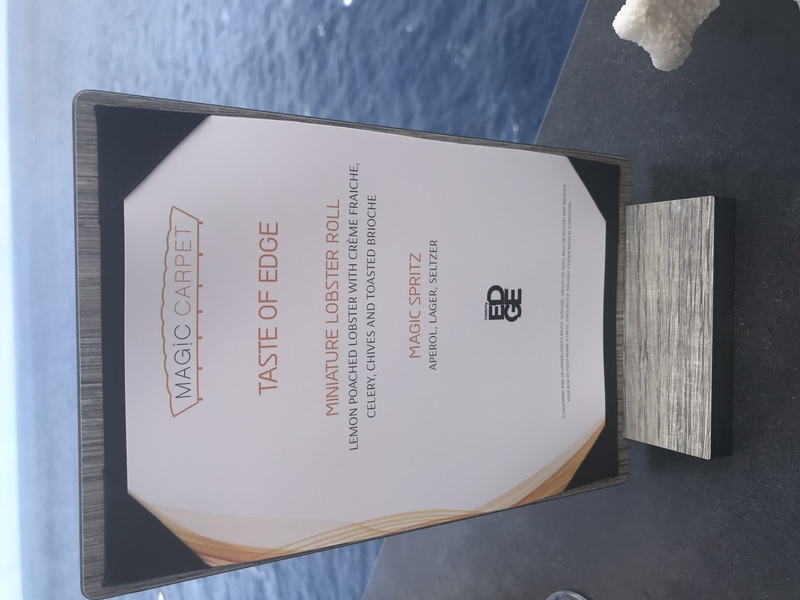 We started in the Magic Carpet with their Miniature Lobster Roll and Magic Spritz. 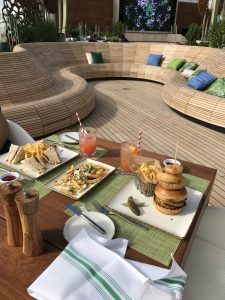 The setting was outstanding and the lobster roll was great- I didn’t care for their cocktail. Pricing here s typically ala carte. 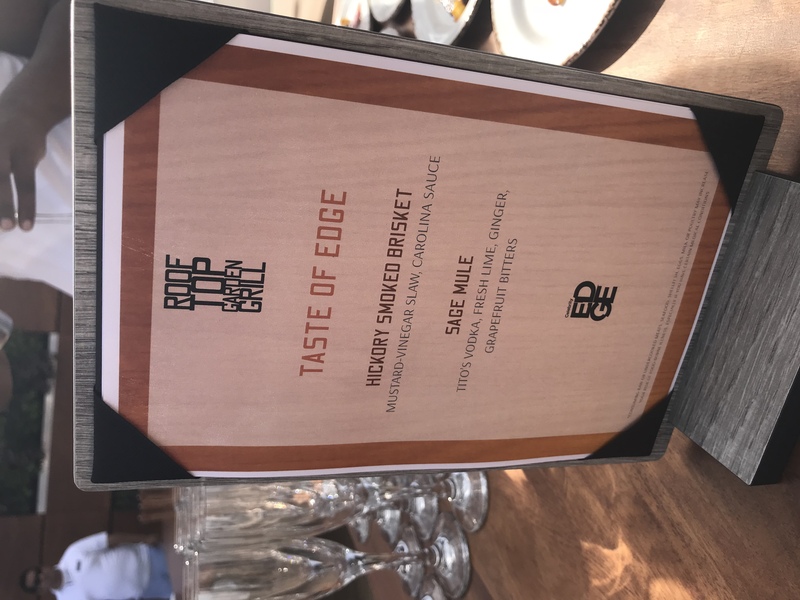 Next on our tour we visited the Rooftop Garden Grill and tried their Hickory Smoked Brisket and Sage Mule. 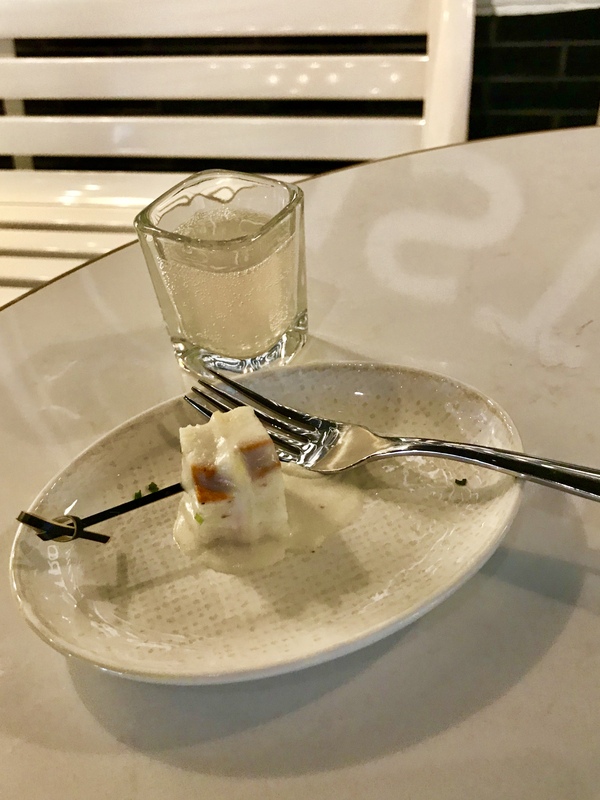 BOTH were outstanding and we actually went back for seconds. 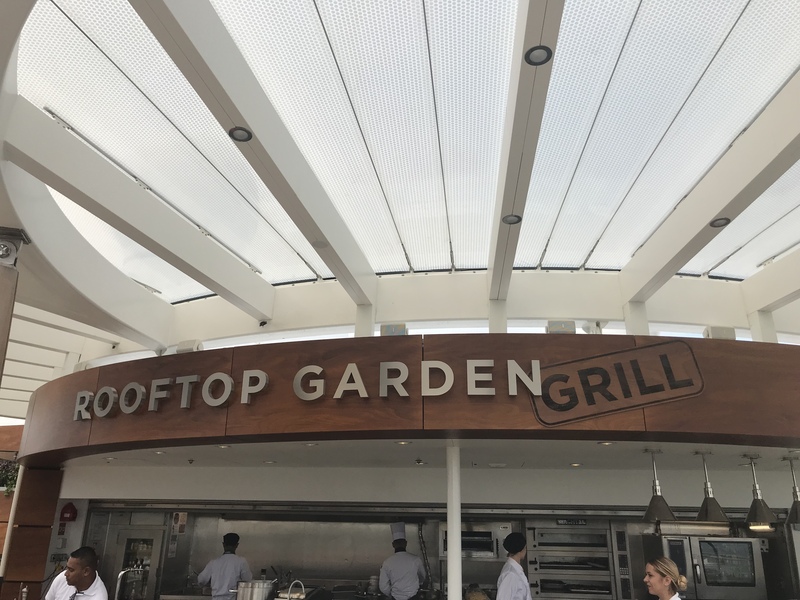 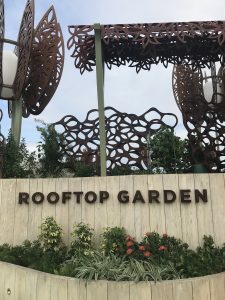 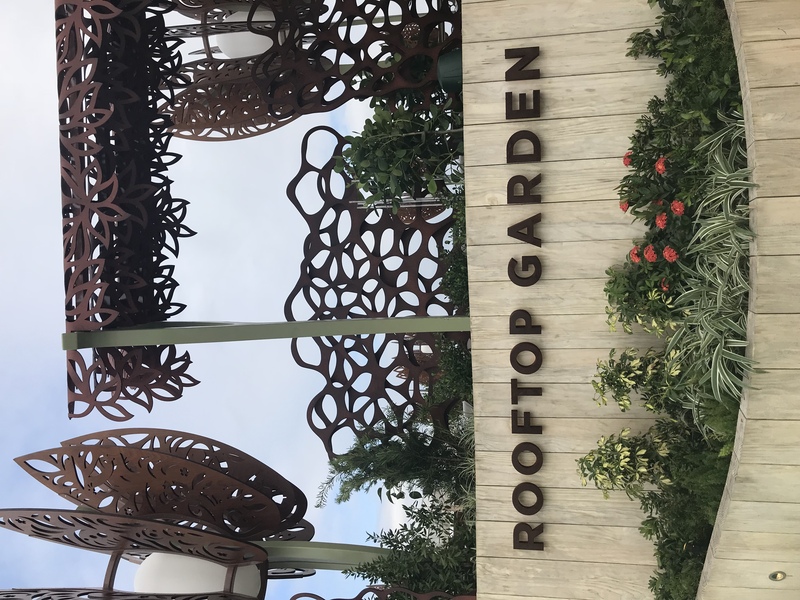 Mike and I were lucky enough to secure a lunch reservation in the Rooftop Garden Grill for lunch. 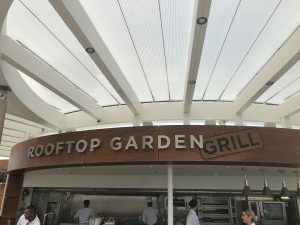 Typically for lunch this would be an upcharge of $25 per person for lunch and $45 per person for dinner. We LOVED the setting, a bit windy- but really pretty. 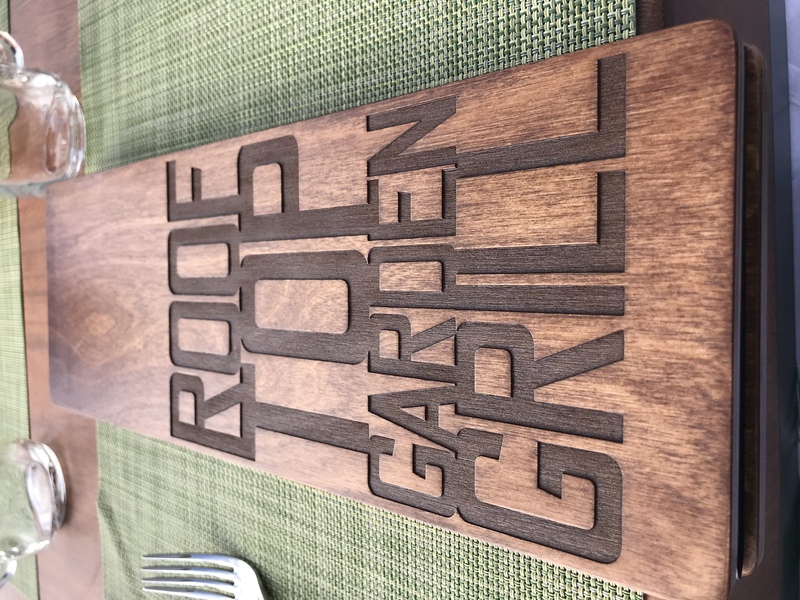 Very relaxed and a casual menu for lunch is offered. 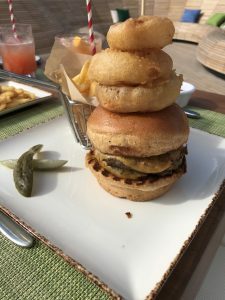 We ordered the Train Wreck Fries with a Turkey Club and Rooftop Beer Burger that was all delivered to our table at the same time. 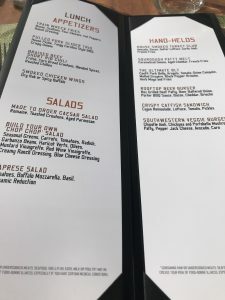 Our lunch was delicious- now was it worth the $50 upcharge for the two of us? Not entirely sure. 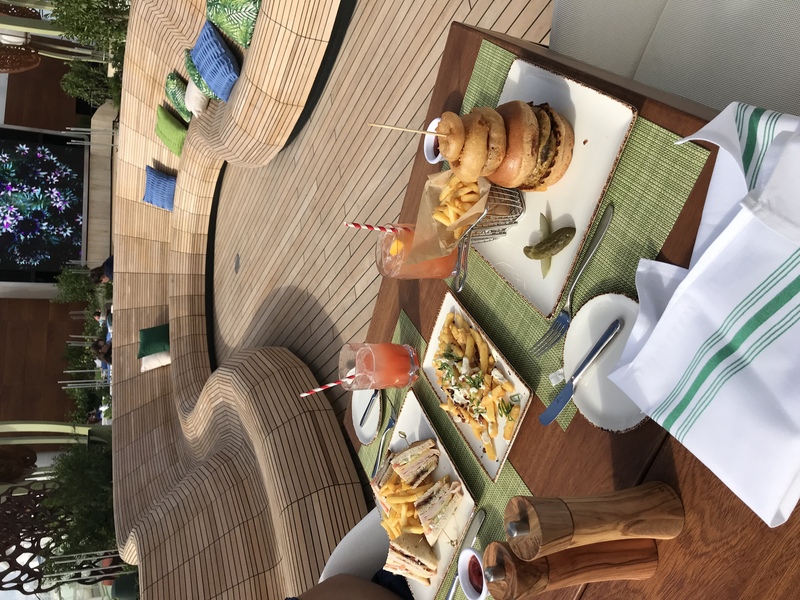 This was certainly a better meal and setting than what you would find in the included restaurants for lunch. 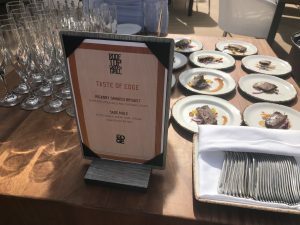 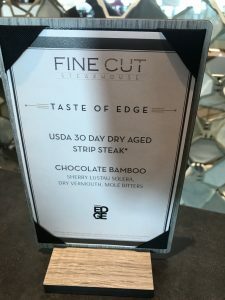 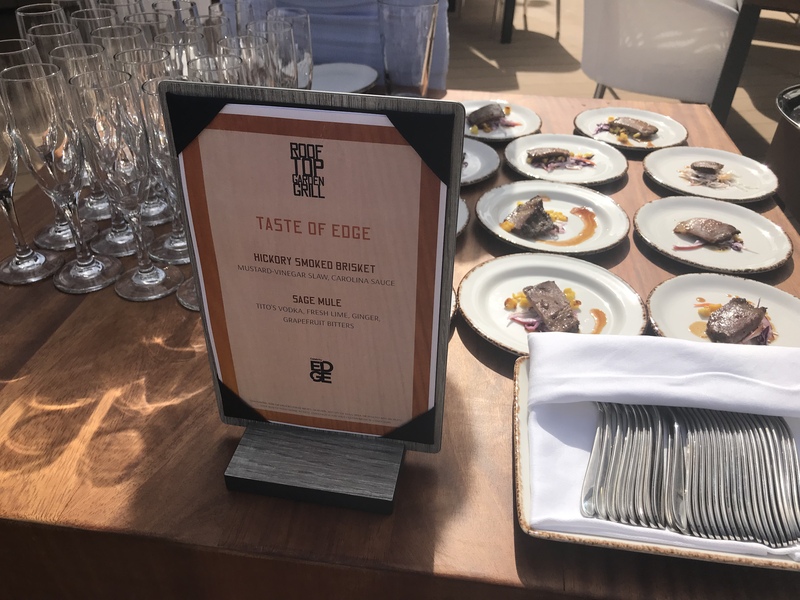 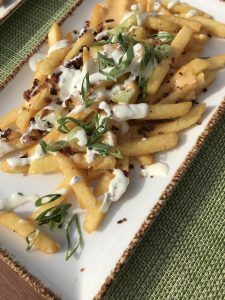 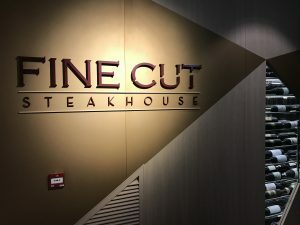 Our favorite “Taste of Edge” was at Fine Cut Steakhouse. 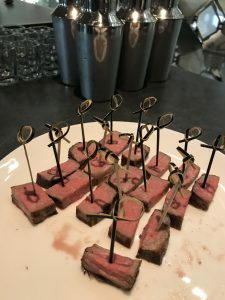 We were able to try their USDA 30 Day Dry Aged Strip Steak and their Chocolate Bamboo cocktail. 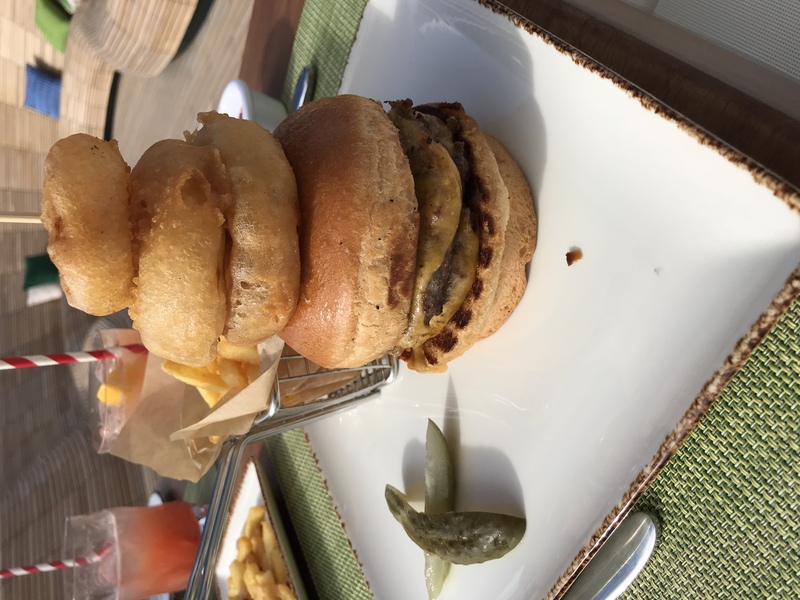 OUTSTANDING food in a regal setting! 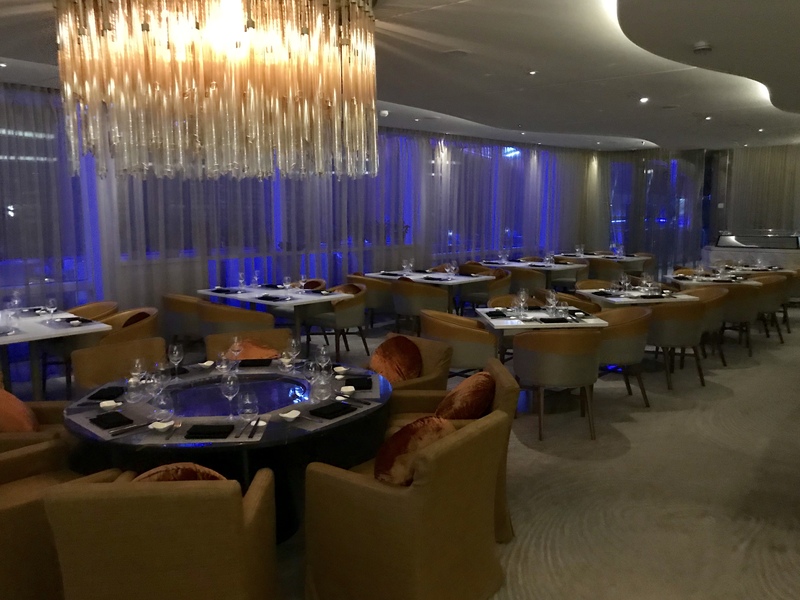 Pricing for dinner here is $55 per person- in our opinion, it would be absolutely worth it. 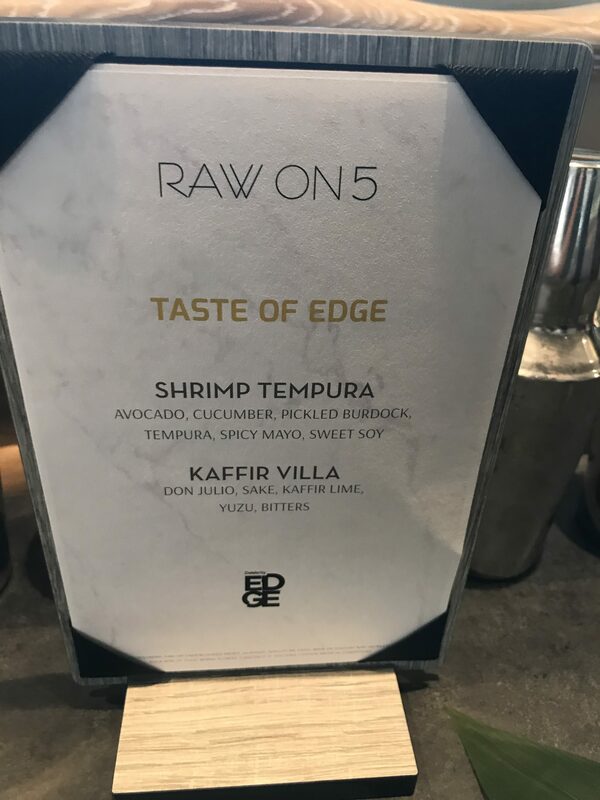 Next we tried Raw on 5’s Shrimp Temoura and Kaffir Villa. 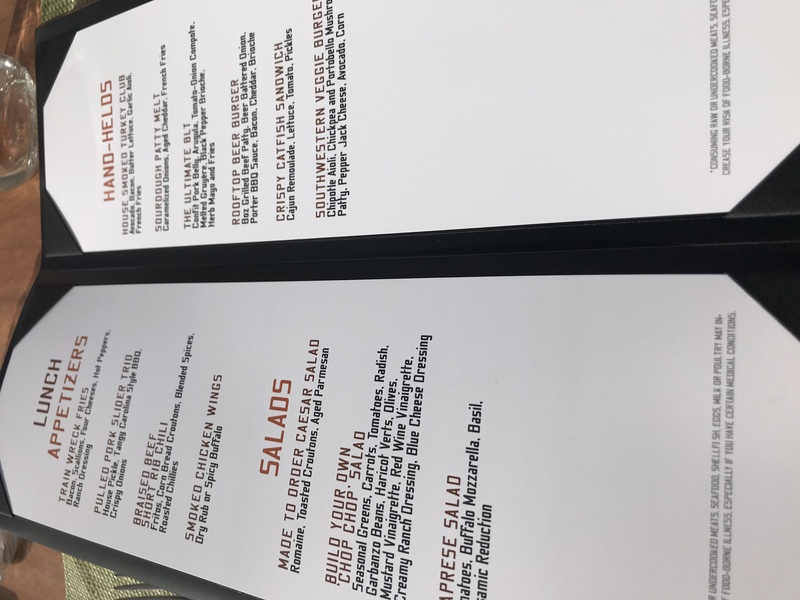 Both were very flavorful. Pricing here is ala carte. Grand Bistro also had a taste we enjoyed their Mini Croque Monsieur & Madame with their Lemonade Provencal cocktail. 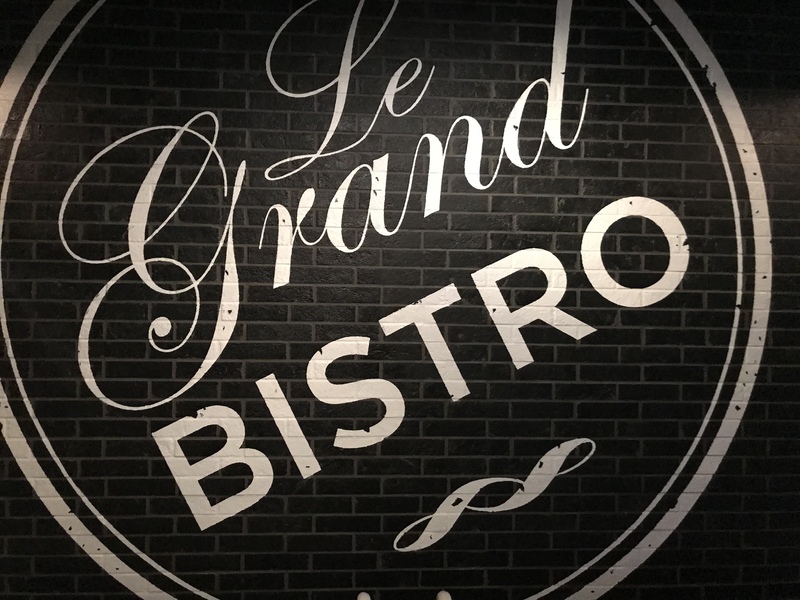 Pricing here is an additional $10 per person for breakfast, $20 per person for lunch, and $25 per person for dinner. 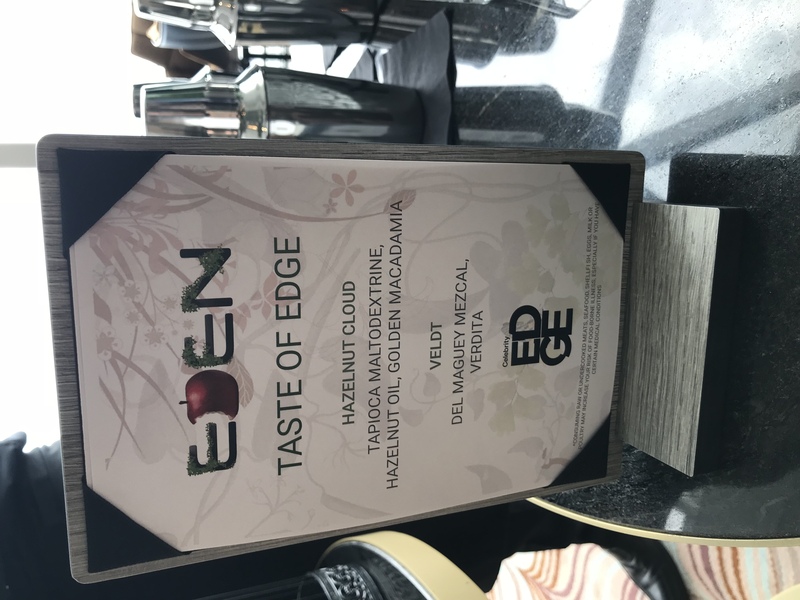 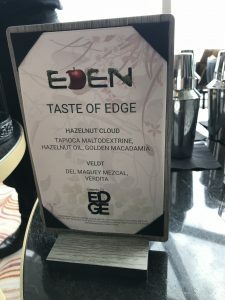 We then went to Eden and tried their very well presented Hazelnut cloud with their Veldt cocktail. 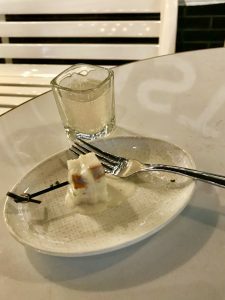 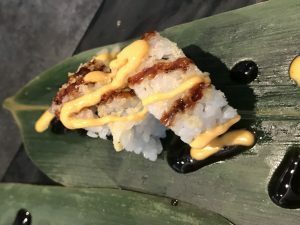 The setting was certainly different than what we had experienced at night, but the taste we tried was certainly something I wasn’t craving seconds of. Eden charges $65 per person for dinner. 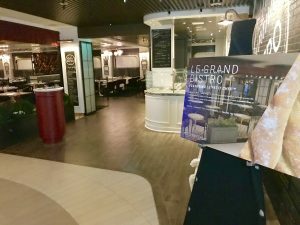 Le Petit Chef was the only “taste” we didn’t get to experience. 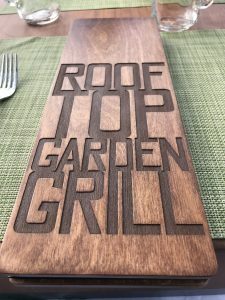 Not sure if it was offered and we missed it or not. 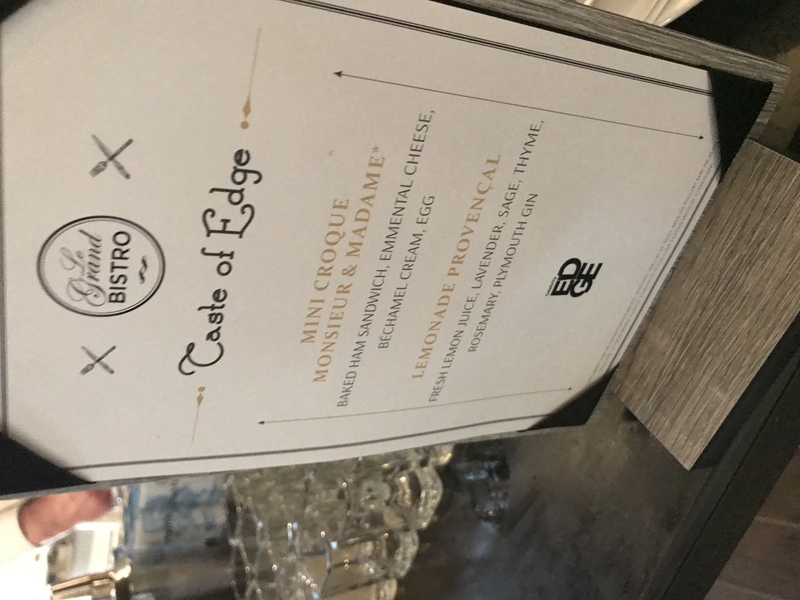 I would assume that would be a hard menu to do this type of tour with.